Who: Avon Fire & Rescue Service. What: An online, interactive user guide of their new fire station for staff and visitor education and engagement. Result: Staff and crew have a greater understanding of the state-of-the-art facilities so they can be used optimally. Through informed use, the building is as energy efficient as possible and operational costs are reduced. Annabel Harford, Environmental Project Office, Finance & Asset Management at Avon Fire & Rescue Service. 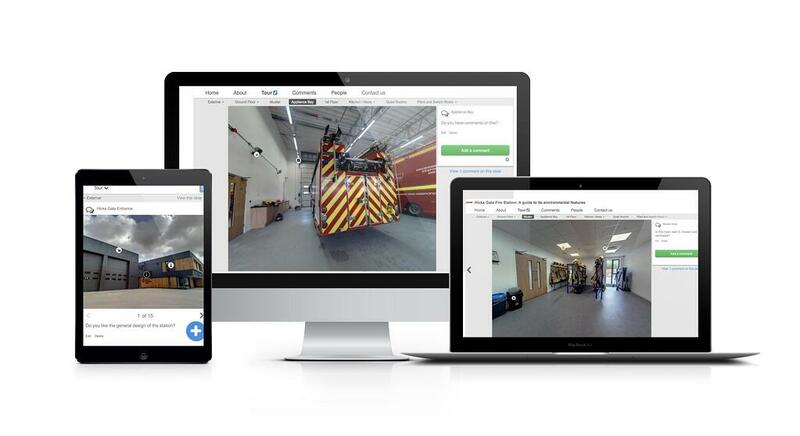 Avon Fire & Rescue Service (AF&RS) used Stickyworld to build an interactive, online user guide about their new Hick’s Gate Fire Station near Bristol, UK, which opened in April 2016. Their aim was to create a compelling way to explain the energy efficient and modern features of the fire station to staff and crews. They wanted to educate their staff as well as encourage questions and answers about the best use of the facilities to maximise the investment in them. Hick’s Gate Fire Station is the first fire station to be built in the Avon area for over 30 years. It’s equipped with state-of-the-art features and is one of the most energy efficient fire stations in the UK. The modern facilities mean it’s used as a specialist training centre. It made sense to ensure that everyone using the building understood all the smart, new, modern energy-saving features. They wanted staff to know why these features were important and how they should best be used to optimise their efficiency and impact. The AF&RS team also wanted staff to be able to ask questions and to leave feedback if any of the features weren’t working properly. The team set up a private portal on Stickyworld and developed an interactive, online user guide of the building for staff. 360 photography of different aspects of the site was taken by one of Stickyworld’s professional services team. Using the authoring tools available on the platform, this content was used to form the basis for the virtual guide. ‘Info notes’ were then created to add extra information to enrich this multimedia content. The Info notes provided detailed information and images about the ventilation features, automatic lights, cooling systems and drainage, for example, and were embedded as hot links within the photography. 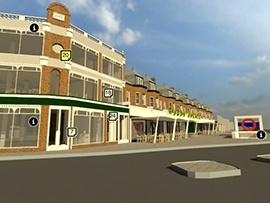 The resulting virtual guide was a meaningful, visual and interactive way to pinpoint and explain the special features of the building within their context. Using the CRM within their Stickyworld portal, it was easy for the AF&RS team to invite staff and crews to use and explore the guide, and to leave any questions or comments. With their online user guide, AF&RS created a modern and efficient way of educating and engaging their staff befitting of their modern, new facility. The guide demystified the new technology and energy saving features and facilities of the state-of-the-art site so they can be used optimally. The ultimate aim is that, through informed use, the building is as energy efficient as possible and that operational costs are reduced. The guide has provided the means, time and space for staff to ask questions and receive feedback, and remains an enduring useful resource for the team. If you would like to learn how an online user guide could help you keep your staff and stakeholders involved and engaged with your construction project, book a demonstration with our team.